President of the Republic, Michel Aoun, will preside over the cabinet meeting tomorrow at the Beiteddine summer presidential palace. 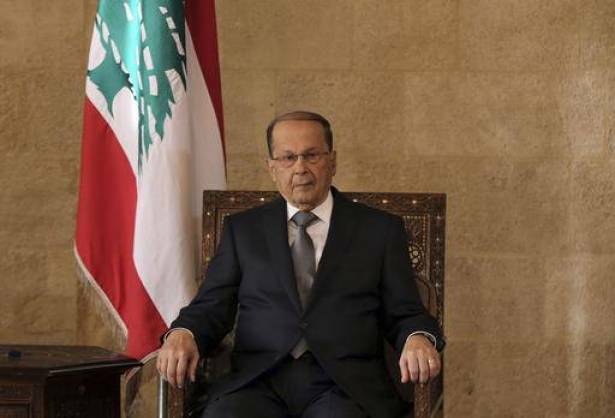 President Aoun will move tomorrow morning to the Beiteddine summer presidential palace at 9 am, where he is scheduled to hold a series of meetings prior to the Cabinet session. On the other hand, Aoun followed up at the Baabda presidential palace on the latest security developments in the outskirts of Baalbek and Qaa, following the army's great achievements in liberating most of the previously controlled territories by the terrorist organization Daesh. Aoun was briefed on the advances made so far on the ground and the adopted measures and procedures related to the deployment of the army in the liberated areas. The President told his visitors that the post-liberation phase of these areas will be focusing on their development and the removal of irregularities leftover in the past years. Aoun said that funds have been allocated to carry out a number of urgent projects worth 30 million US dollars. The President applauded "the steadfastness of the people of these areas in their land and property." Baabda palace witnessed today a series of meetings tackling a range of political and developmental affairs, whereby the President met respectively with MP Emile Rahme, former MP Selim Aoun, former Minister Marwan Kheireddine, the appointed Lebanese ambassador to the Sultanate of Oman, Albert Samaha, and a delegation of A delegation from the Marble and Granite Manufacturers Association.